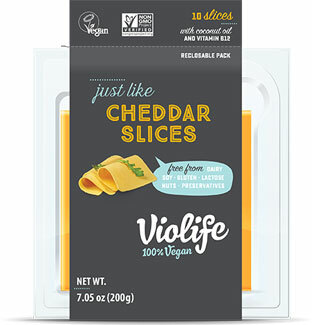 The perfect flavor for those who are cheddar lovers, Violife Just Like Cheddar slices give a unique taste and aroma that bring authentic flavor to your favorite foods. 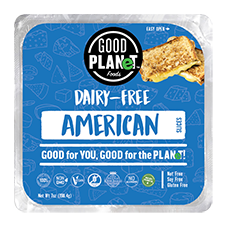 Perfect for stacking on sandwiches or using in your favorite recipes any time they call for cheddar cheese, these slices taste great, have a soft texture, and come in easy-to-peel slices that make it a snap to top off anything where cheddar makes it better. 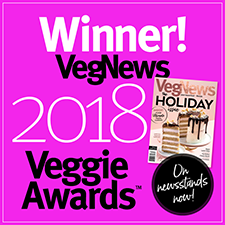 The perfect option for vegans and vegetarians everywhere, Just Like Cheddar slices are GMO-free, dairy-free, lactose-free, soy-free, gluten-free and preservative-free. 7.05 oz. (200g) packages contain 10 individual slices for $5.19.